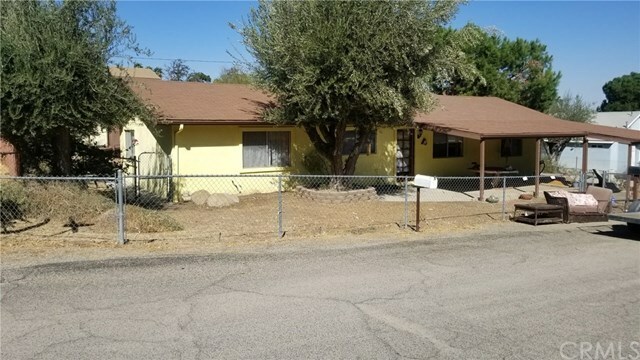 This is a great home nestled up against the Ortega Mountains with great neighbors. The Home features 3 bedrooms, 2 bathrooms, a Large Bonus room, Living Room and Family room, highly sought after SINGLE STORY, a Large Detached 1+ Car Garage and a separate Carport. A Larger lot with Olive Trees and lots of room which is completely fenced and located on a corner lot. Home has provided years of memories and enjoyment with the ORIGINAL HOME OWNER and the family for almost 3 generations. The HOME is looking for the next family to start their memories. Home is in need of some TLC and DIY help, perfect for the FIRST TIME HOMEOWNER willing to do some DIY work to make it their own, an Investor or Contractor. SALE of this property is "AS IS" condition. This property has tremendous potential. SHOWINGS ARE BY APPOINTMENT ONLY.